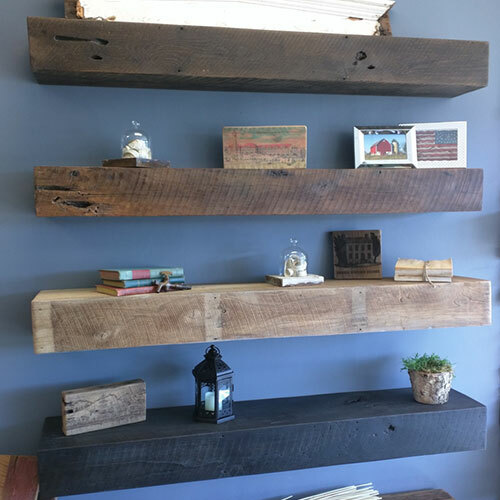 Bring beauty and history into your home or office with Reclaim Renew’s Barnwood Accents. All of our wood is treated and put through a kiln. 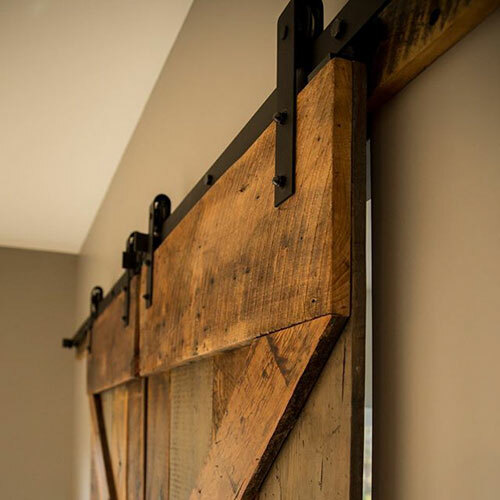 Our barndoors are constructed using 100+ year old barnwood and come in several designs and finishes. We use the best hardware available. Standard door sizes 38 x 83 are usually available with no wait. Custom doors can be ready in 4-6 weeks. We create box beams and mantels that have the appearance of solid beams. They install easily and can be built to fit over existing structures or float freely on a wall or ceiling. 5, 6 and 7 foot mantels are available in stock at our showroom and include mounting hardware. We carry the best wall board available. 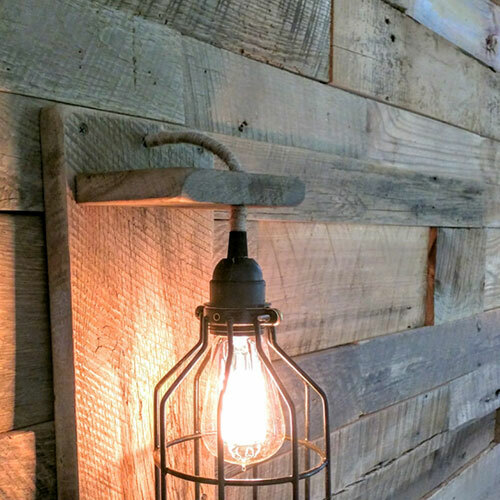 One wall may contain wood from as many as 15 barns. The wood is planed to less than a 1/2 inch and cut down and bundled by width to make intstall a breeze. Wallboard if readily available and can be shipped or picked up the same day you place your order.